IGA Kendo Club members intently watching their colleagues during a shiai. When Mori-sensei participated in the ASEAN Kendo Tournament in Malaysia last year and Jun-sunbae went on a holiday in the Philippines and joined the local kendo dojo there, they both met the key members of the IGA Kendo Club and made mention that one of our very own members is a Filipino — Veejay. IGA Kendo Club was quick to make contact with her and then invited her to join them for practice during her holiday, which she finally did last July 5, 2014 at the Arena dojo, which also happened to be the first practice day for their beginners. Our many heart-felt thanks to Igarashi-sensei, Kristopher Inting-senpai, and IGA Kendo Club for extending their warmest welcome to all members of the Phnom Penh Kendo Club to their dojo!!! 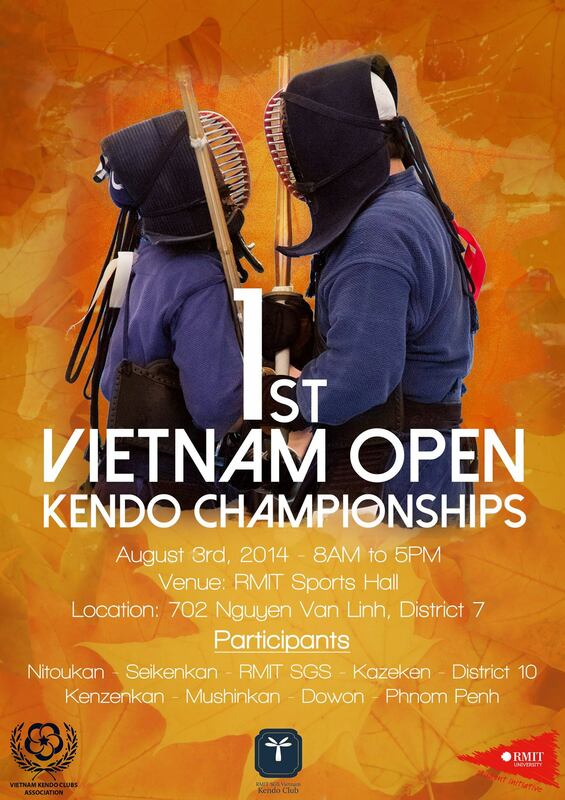 A month ago, the PPKC received a surprising invitation from the Vietnam Kendo Clubs Association to their 1st Vietnam Kendo Open Championships in Ho Chi Minh City, Vietnam on the 3rd of August, 2014. After much deliberation, we are proud to send seven of our members to the competition, and we encourage you to come to HCMC to watch, support, and cheer for our members on their first shiai ever as a team! We thank our friends in Vietnam for thinking of us and inviting us to this momentous event (and also look forward to making new friends there over our shared passion and love for kendo)! See you all in Vietnam! Lucy Bin is our newest bogu member, who received her bogu just early last month after many months of hard training. Congratulations! 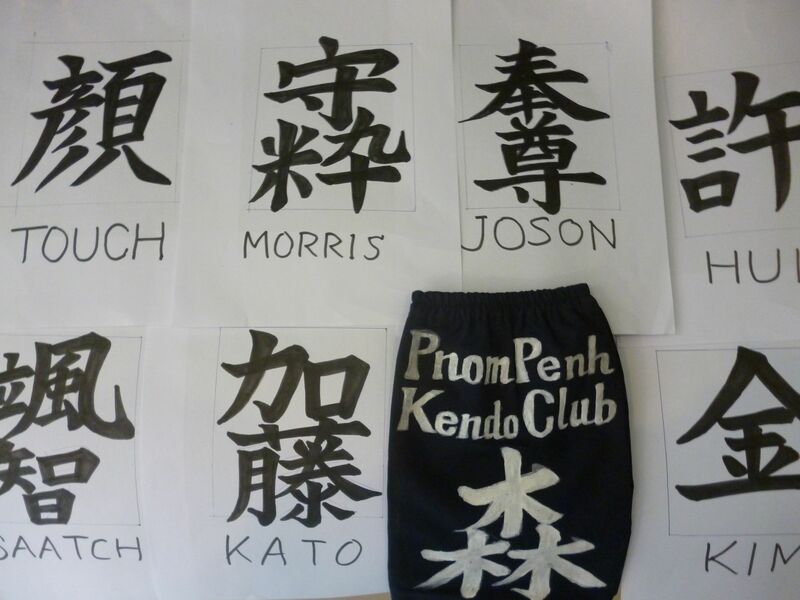 The Phnom Penh Kendo Club was established in 2009 to introduce and promote Kendo in Cambodia. 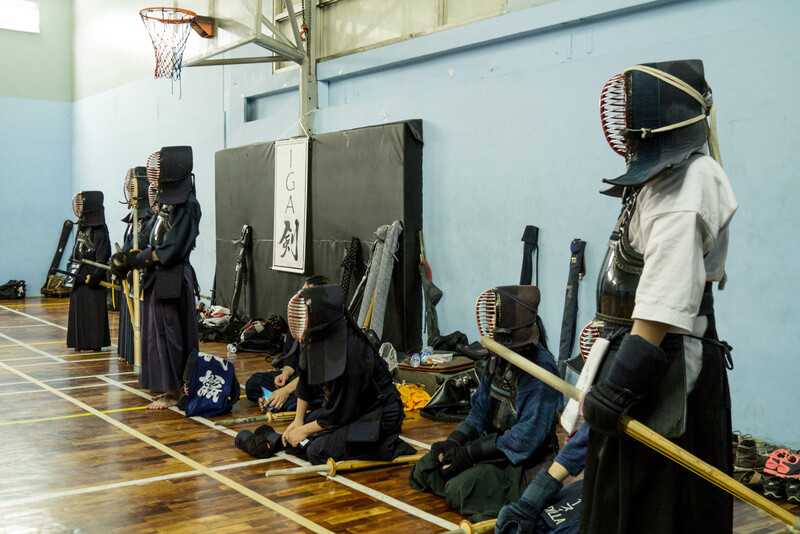 Currently, this is the only kendo club in Cambodia. Posted on July 9, 2014, in Phnom Penh Kendo Club. Bookmark the permalink. Leave a comment.